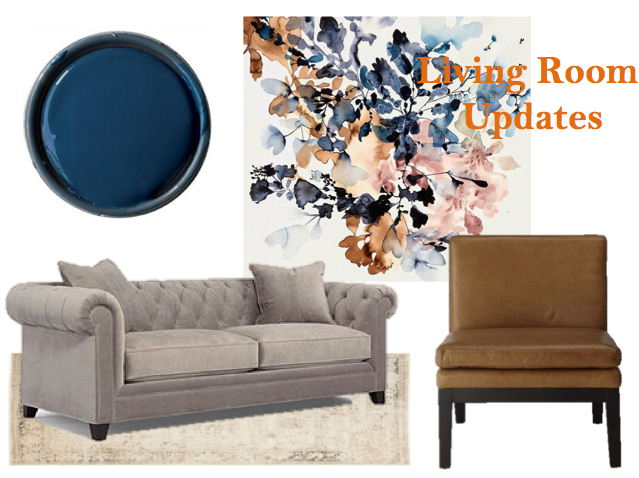 I mentioned in this post a few months ago that I found a new place that I LOVE and I was in a design frenzy deciding which look I was going for this time around and what furniture pieces to buy… you know how moving is. Well, I’ve moved in and for the past 6 months I’ve been super indecisive on the decor. I have the essentials and the place is set up “nicely” but there isn’t anything special about the space. 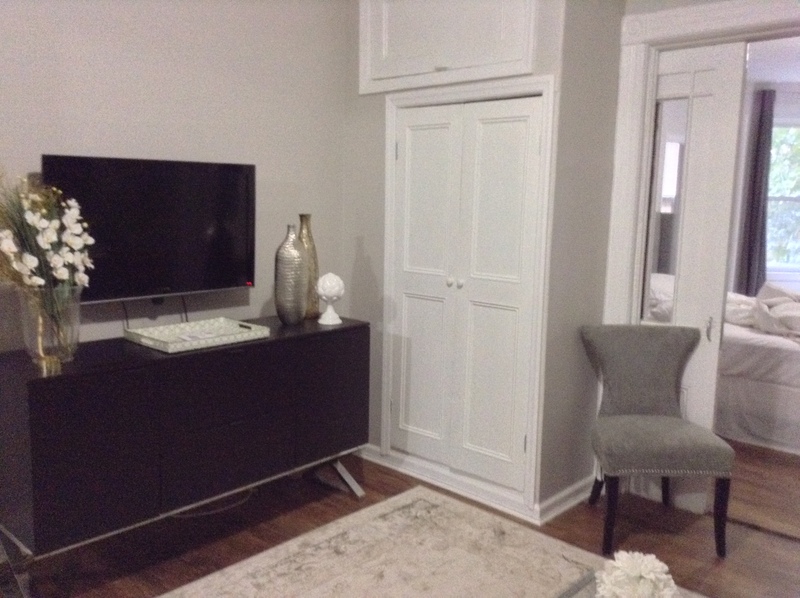 The apartment is railroad style and open concept from the kitchen to the bedroom and for some reason I’m having a hard time creating a cohesive design throughout the space, which has put me in quite a interior design funk (hence all my fashion post lately). Well leave it to Pinterest to guide me to the promised land! 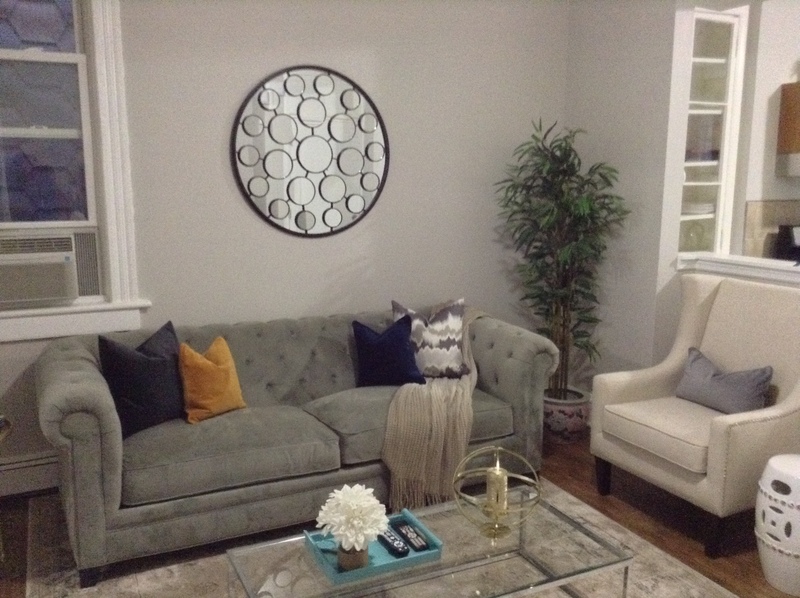 I’m back to my normal self and I am ready to finish (for now) my living room. I’ve finally settled on an accent wall color and accent chair. 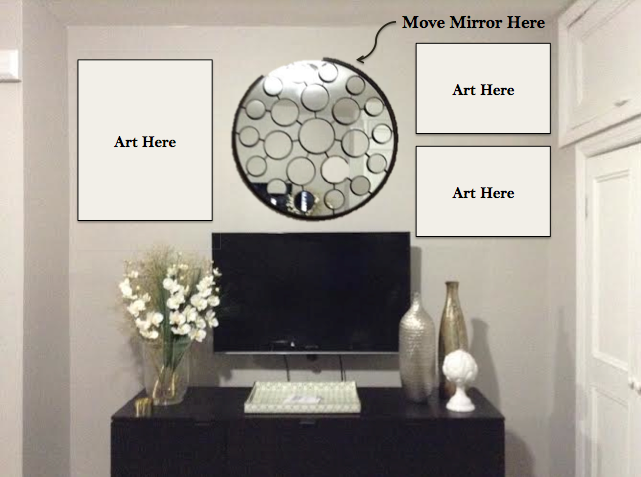 I’ve also decided for the t.v area to create a gallery wall. At first, I was against a gallery wall because I hate when I see these huge walls that have tons of tiny framed art as fillers of space but I think I found a way to use my existing art and create a semi-art wall that will make a great impact on the space. This my living room as is from all angles. I’m going to switch the mirror to T.V. wall and install some of my own art for balance. A little mood board inspiration for the Couch Wall. 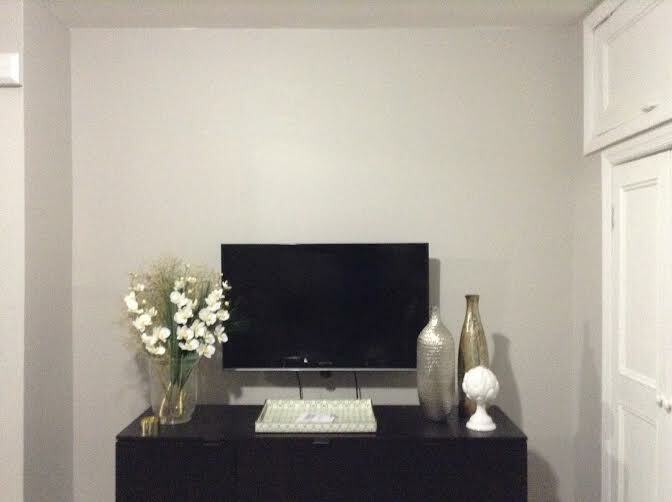 The wall color is Benjamin Moore – Gentleman Gray. 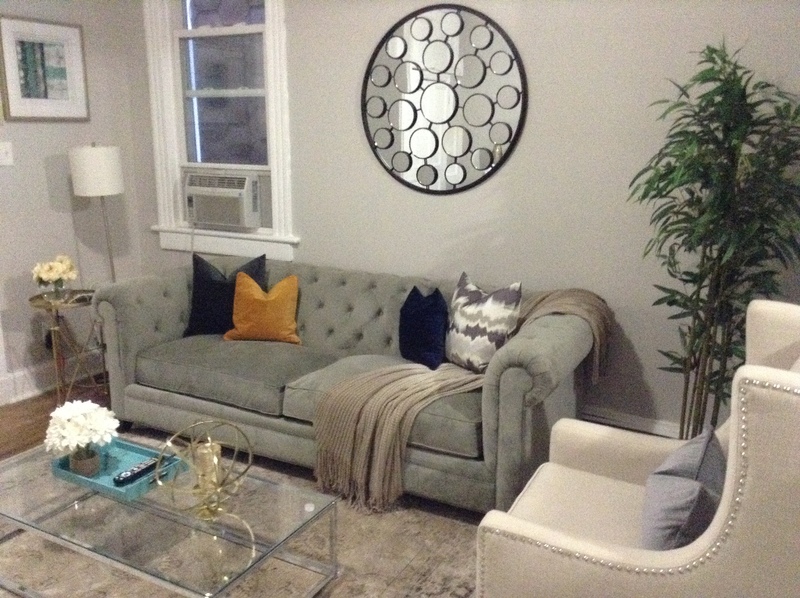 The couch and rug are existing. I have a painting date with the bestie and the chair (on sale at West Elm right now!!) and art should be delivered in 2 weeks. Soon my living room should be exactly what I picture in my head and I can’t wait to see the results. Now to get my bedroom in order lol. Check back next week for my bedroom dilemmas and what I think I’m going to do to solve them. Tags: aael, CB2, Decorating, Design, Furniture, h&m, HGTV, Home decor, Home Goods, Inspiration, Interior design, Living Rooms, Living Spaces, personal style, West Elm. Bookmark the permalink.